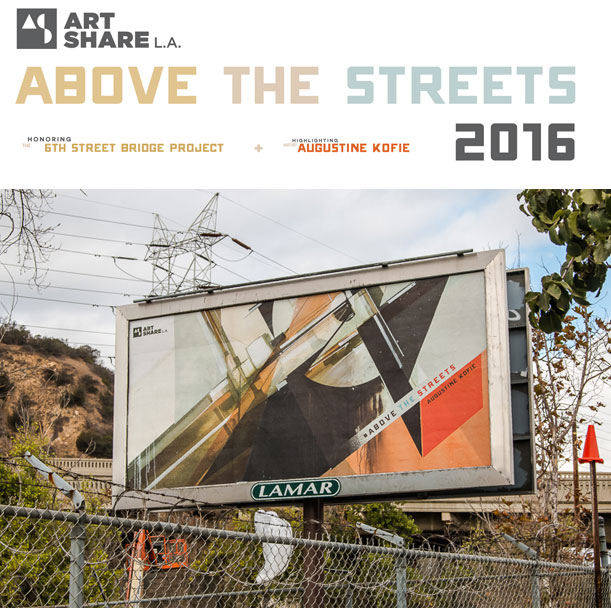 The 3rd Annual Above the Streets fundraising event benefitting Art Share L.A. will be held on Thursday, October 27, 2016 6PM – 10:30PM. This year we will honor the 6th Street Bridge Project for contributing to the transformation of Downtown Los Angeles. 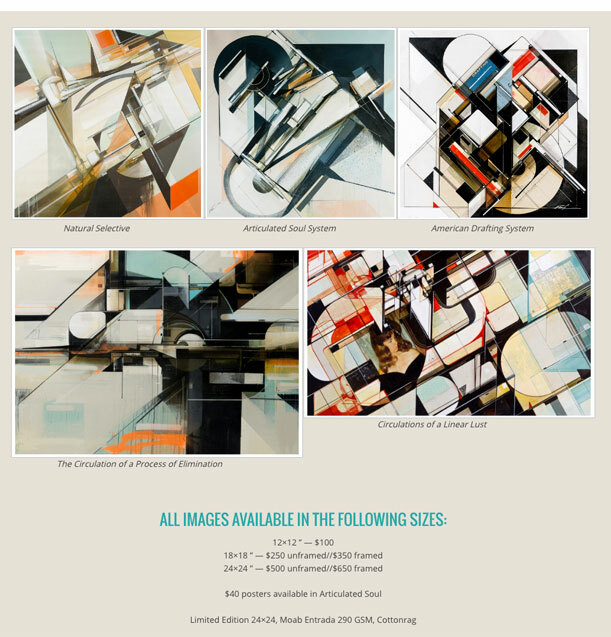 And we have the pleasure of highlighting artist/muralist Augustine Kofie. Augustine’s work will be splashed around the City of Los Angeles through different outdoor media channels: large billboards, digital billboards, bus bench ads, and more! Using drafting as his inspiration, Augustine’s architectural images align with the many new buildings and changes coming to our city. Each year, Art Share L.A. serves our community of emerging artists and supports them through their artistic journey. Last year we shepherded, 350 artists through our gallery and opportunities programs; hosted 4,500 attendees to various events; held 25 gallery shows; 150 musical performances and 50+ readings and poetry events. Art Share is where you come to discover new talent – Art Lives Here! Limited Edition 12x 12, 18x 18 and 24×24 inch, Moab Entrada 290 GSM, Cottonrag available for local Los Anggeles pick up only. NO SHIPPING.